Well, I won. 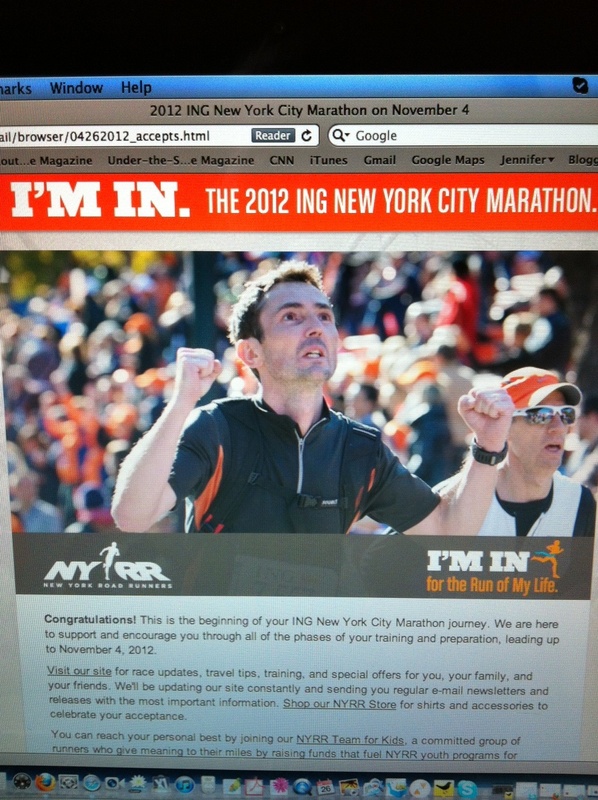 I’m running this year’s NYC Marathon November 4th alongside my clients. Will I lose my hard-earned muscle during the long training runs? I have worked extraordinarily hard this year to put muscle on these bones! How will I keep up with my training and grueling work schedule? I work 40 hours/week on my feet! What food will work best for me during the long runs? Gu, beans and other typical fueling options give me stomach cramps and worse! I promise to track my progress and find answers to these questions along the way. Will you be running with me? One Response to Why not?